Tonight it seemed as though Schoeneberg’s golden stag reflected its shine on the whole neighborhood. Must be his 100th jubilee! …with a little help from Kaspar David Friedrich…..
August was very sunny indeed in Berlin this year…We focused on outdoor activities, doing as the locals do and enjoying with Baltic determination every ray of sun. It sounds so strange, coming from Rome. But what matters is “user friendliness” and the wonderful sunny atmosphere in Berlin called for staying all the time in the sun, effortlessy and with a lot of pleasure. No baking heat, no pollution, no suffocating stale air. We were lucky, yes! Fresh wind, blue sky, 25-27 Celsius, sometimes 30 C.
This year we also had bikes so we felt much better in synch’ with the city. We would hit the streets in Schöneberg in the early morning for getting hold of superb Rosinenbrötchen and have breakfast at home, enjoying the sounds from the nearby park. 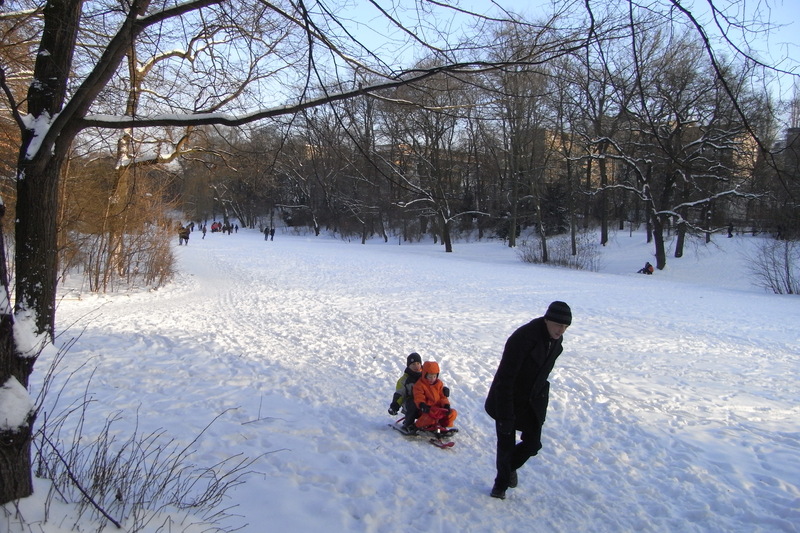 Or we would start with a long walk in the Volkspark, when rabbits are still out by the dozen. We would sip Bionade under the grapevine at some nice Café in between our daily chores, exploring food open-air markets around the city. Or hunt for the perfect Kartoffelnsalat…Little by little I got a country girl’s tan and got used to the different angle of the sun light, avoiding shades. In the evening we would find ladybirds on our bed, and in the morning our friendly battle with wasps and bees for the orange marmelade made us notice how diverse and rural the insect species in Berlin are. Lots of green space means also a proper fauna in town, and not only mosquitos and starlings. 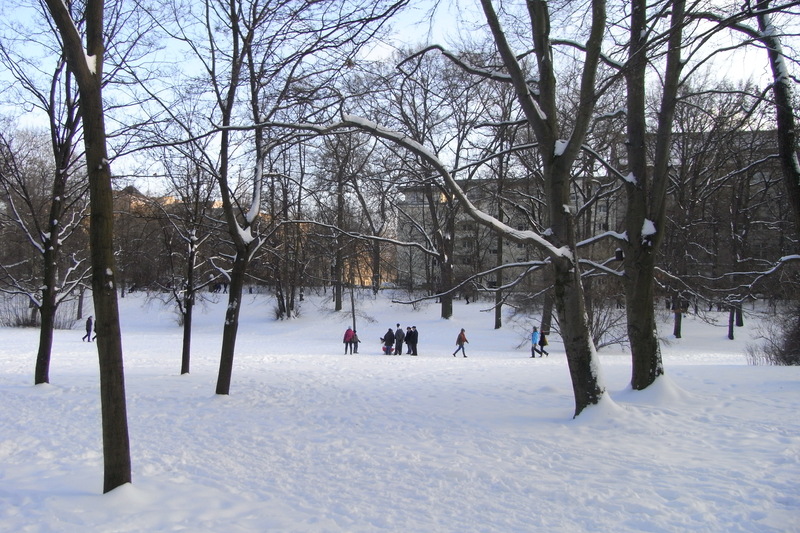 User friendliness also means being able to experience the city’s green areas. One evening, beautiful light in Viktoria-Luise Platz. People get off their bycicles and sit for a while on the grass, enjoying the mix of light, temperature, time of the day…an unplanned, free relax. Nothing special. Just an absence of stinky cars nearby, a clean, soft grass that invites you to take off your sandals, an abundance of benches, no litter around, air you can breath and no noise. Nothing special for bankrupt Berlin, quite impossible in blasée Rome (and Paris, to some extent).